When we talk about travelling around Southeast Asia, one will most often think of visiting Bangkok for a shopping spree, or Bali and Phuket for a tropical beach vacation — Myanmar is usually not the first place that comes to mind. 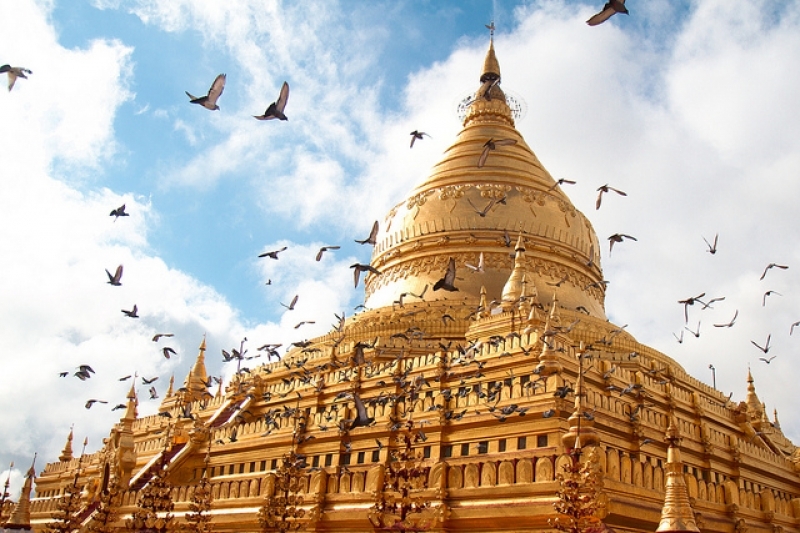 However, did you know that Myanmar is actually one of Southeast Asia’s best-kept secrets? Formerly known as Burma, this golden land of temples and pagodas is simply a treasure trove of exciting cultural experiences. 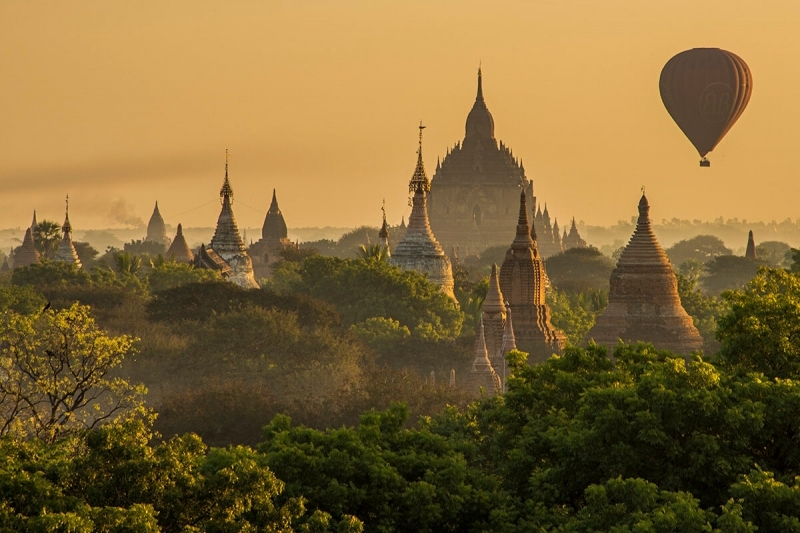 From indulging in the local cuisine and pagoda hopping in Yangon, to hot air balloon rides in Bagan and unspoiled landscapes in Mandalay, Myanmar is truly an underrated country full of surprises in store. It’s the ideal destination for spirited and zealous travellers who are craving for an extraordinary adventure that will fill the soul. Sounds like you? Then read on to find out how you can take an awesome adventure with our itinerary to Yangon and beyond! Besides, AirAsia now flies directly to Yangon from Kuala Lumpur in Malaysia 14 times a week, with fares from just RM79 (all-in)! So what else are you waiting for? Hurry and start booking your tickets RIGHT HERE! Book by 5th Nov 2017 and travel from now till 30 April 2018. Start your first day in Yangon early with breakfast and shopping at Bogyoke Aung San Market, which is Yangon’s main bazaar. 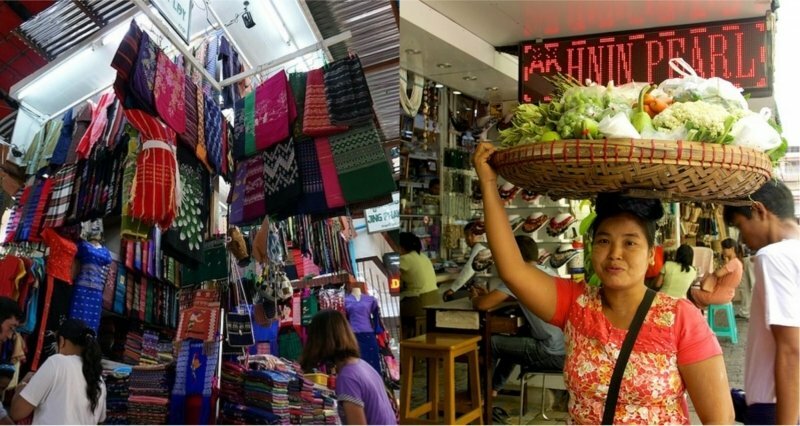 Filled with a plethora of shops that sell everything from Burmese antiques and handicrafts to jewellery, fabrics, garments and foodstuff, this market is a haven where locals and foreigners alike come to get their essentials. One might find some interesting trinkets or even pick up a longyi (traditional Burmese costume) to take home as souvenirs! It is also a good place to have some mohinga (rice noodle and fish soup that is considered to be the national dish of Myanmar) at one of the little street kiosks, for a hearty local breakfast before a full day of sightseeing! Do take note that the market is closed on Monday. 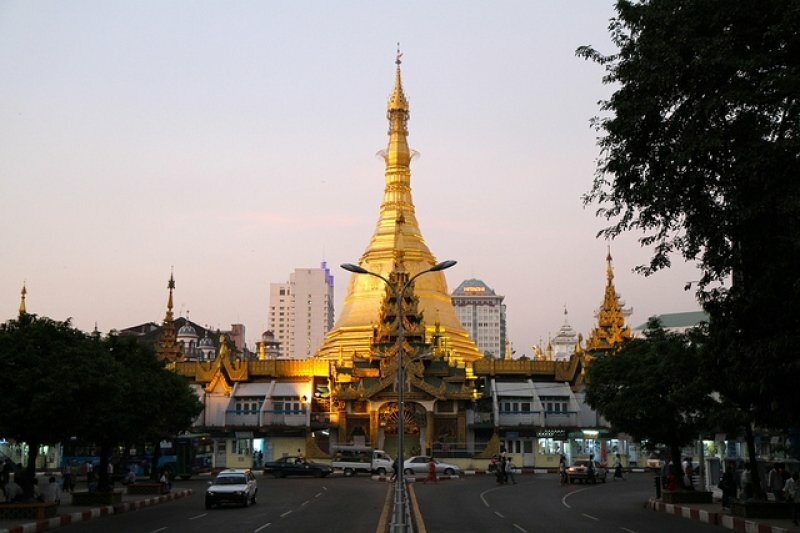 After breakfast, head over to the Sule Pagoda, a shiny golden Burmese stupa that is right smack in the middle of downtown Yangon. It is at least 2,500 years old and also said to contain four Buddha relics! To take a stroll through the compound, the entrance fee is 3000 kyats which is roughly 9.5 MYR (Malaysian Ringgit). If you prefer to just stay and take pictures from the outside, why not visit a palm reader or buy some doves to set free? According to Buddhist practice, the action of setting free captive birds helps you earn merit. Stop by 999 Shan Noodle Shop for a tasty and filling Burmese lunch comprising of noodle soup, spring rolls and Shan tofu, which is crispy fried Burmese tofu made of chickpeas! Next stop, Shwedagon Pagoda! This iconic landmark of Yangon is covered in layers of gold, and the top of its stupa is encrusted with a whopping 4531 diamonds! The Shwedagon Pagoda is clearly a significant monument to the Burmese people. As a standing symbol of Myanmar’s rich heritage, it also reflects the architectural era that has spanned to almost 2,500 years. The pagoda also helps visitors realise and understand the importance of Buddhism in the lives of the locals and how religion is regarded so sacredly in this country. 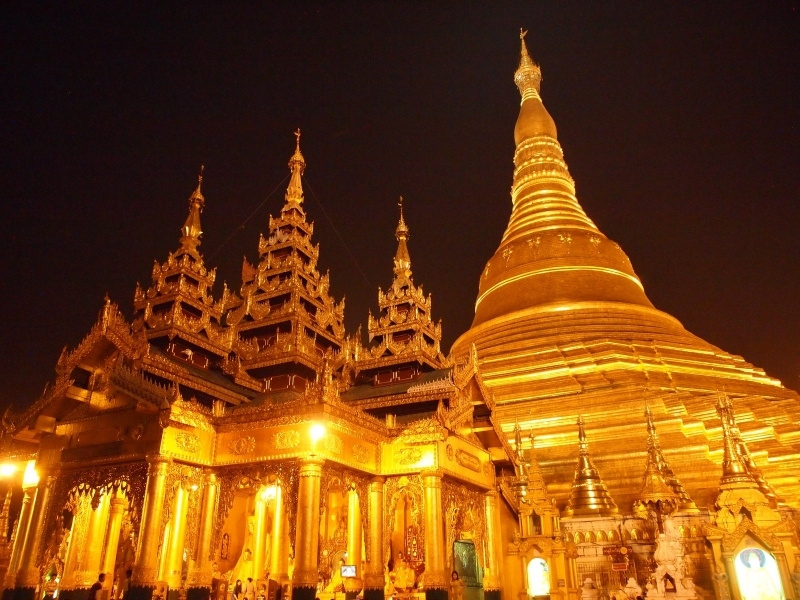 After visiting Shwedagon Pagoda, make your way to Chaukhtatgyi Buddha Temple. Also known as the Reclining Buddha in Myanmar, the Chaukhtatgyi Temple is one of the the most well-known Buddhist temples in Yangon Region. 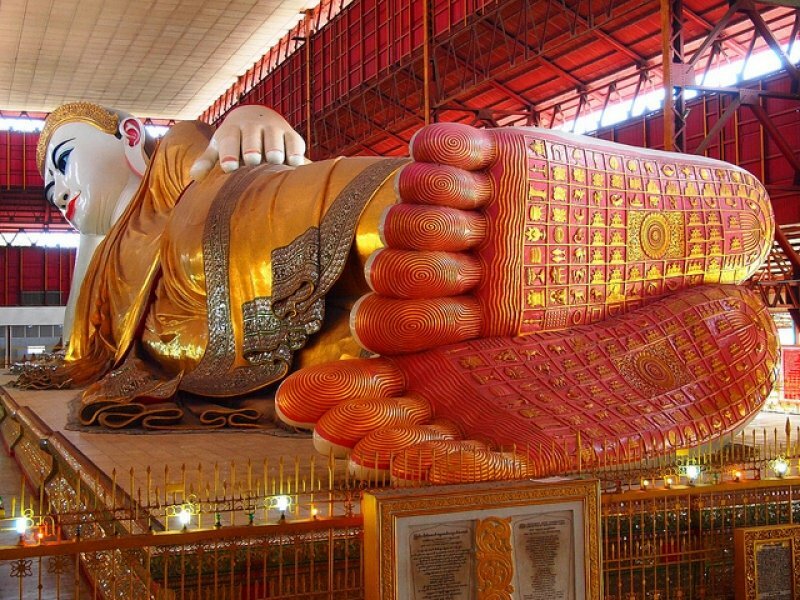 At 66m long and 16m high, this Buddha image is one of the largest you can find in Myanmar. The Buddha’s glass eyes are already measured at 1.77m x 0.58m! The soles of the Buddha’s feet have engravings in red and gold which represent the 108 lakshanas, which are auspicious characteristics of the Buddha. When you’re done, catch an overnight bus to Bagan! The last buses usually leave about 9pm or 9.30pm. Fall asleep in the comfortable sleeper bus seats and wake up in an entirely new place! Check out this link out for bus tickets. Say hello or min-ga-la-ba to Bagan, a sleepy, quiet town that’s said to resemble Cambodia’s famous Angkor Wat! 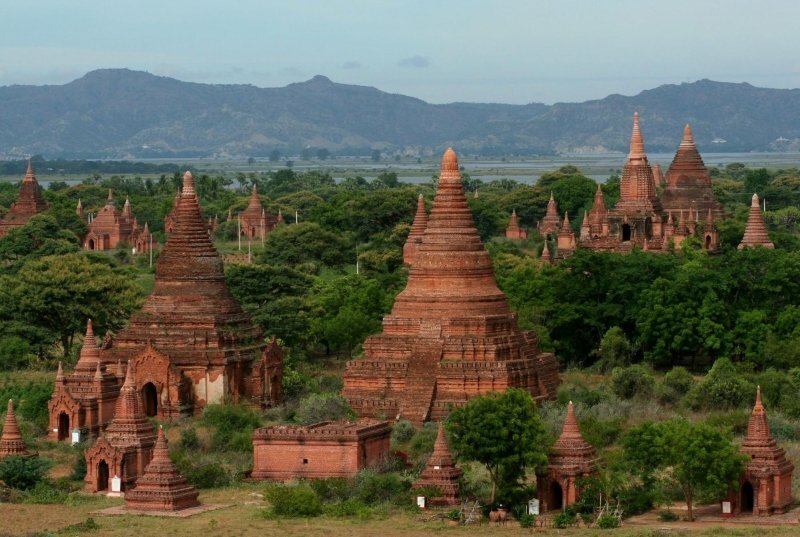 Also known as the Bagan Archaeological Area, the landscape of Bagan consists of seemingly endless plains that are dotted with over 2,000 Buddhist monuments. It is one of the richest archaeological sites in Asia and the views here are certainly like no other! The entrance fee to Bagan costs 25,000 kyats which roughly amounts to 79 MYR (Malaysian Ringgit). 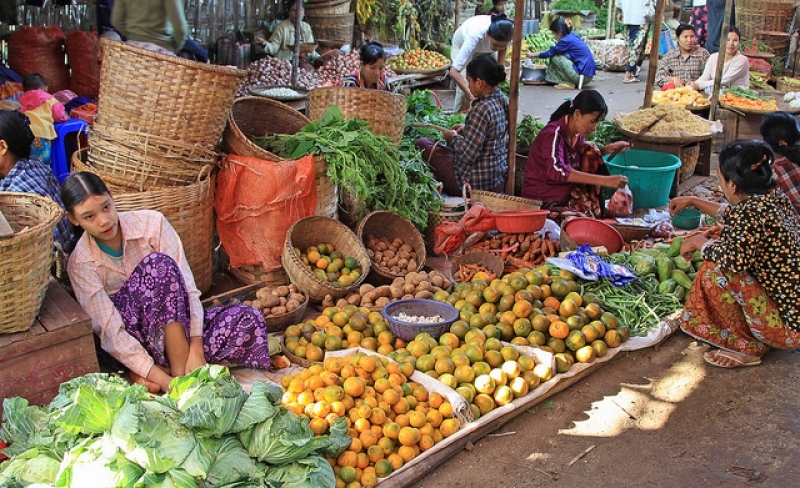 After freshening up at your hotel, take a nice, slow stroll down Nyaung U Market, which is the village’s local market. Here, you can mingle with the local crowd and take a glimpse into their everyday lives. From fresh vegetables and fruits to poultry and other fresh products, rattan items, longyi and other daily necessities — this is the place to be! 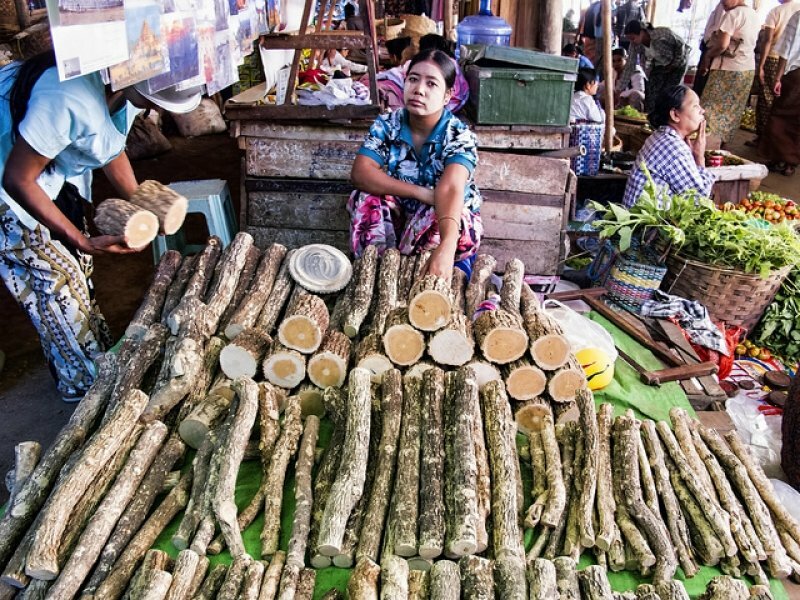 You will even see vendors selling a “natural cosmetic”, thanakha, that the people in Myanmar wear, made by grinding the bark of Wood Apple tree on a wetted stone slab. The people believe that thanakha acts as an effective sunscreen which also helps to tighten the skin and prevent oiliness. How cool is that? 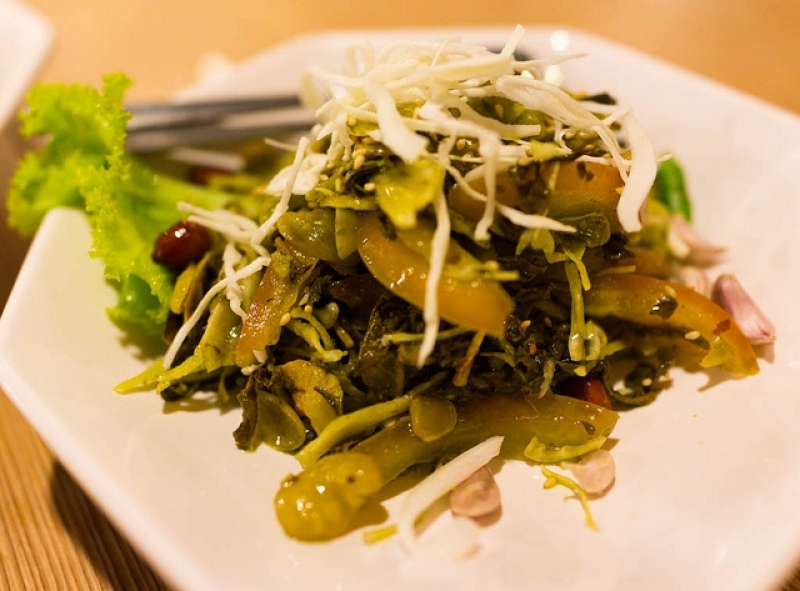 If you’re tired of the usual noodle soup or Burmese mixed rice, how about trying some lahpet thoke (tea leaf salad) for lunch? 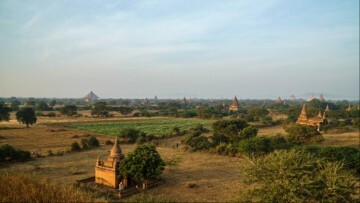 After your meal, go ahead and explore the plains of Bagan! With over 2,000 temples on Bagan grounds, you will be continually filled with a sense of wonder and awe as you step into each one. Be sure to stop by Shwezigon Paya and marvel at its gold-plated stupa. This pagoda is also believed to contain a bone and tooth of Gautama Buddha! 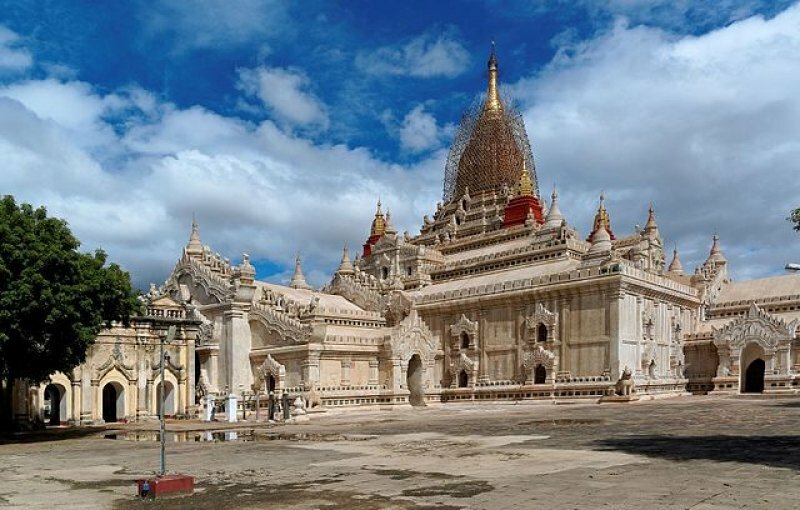 Do also visit Ananda Temple, which is one of the most well preserved temples around Bagan. Its construction also holds an interesting tale! Legend goes that the temple was constructed by King Kyanzittha when some monks gave him an accurate visual description of the Nandamula Cave temple in the Himalayas where they had meditated. 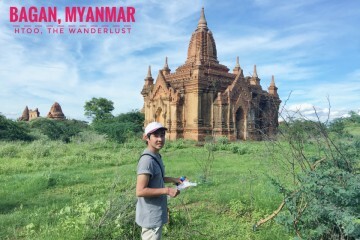 Amazed at their meditative psychic skills which painted that vivid image, the King requested for the monks to build a similar temple in the middle of the Bagan plains. After its construction, he then ordered them to kill each other so as to make sure that similar structures could never again be rebuilt anywhere else. As the evening draws to a close, make your way to Shwesandaw Paya to catch the gorgeous sunset views over the Bagan plains! Appearing to be shrouded in mist in the low light, this spectacular sight definitely epitomises the magic and mystery of Myanmar itself! Even though the view will forever be etched in your memory, don’t forget to snap some stunning photos from this perfect vantage point while you’re here! If you wish, you can even take a hot-air balloon over Bagan too! After you satiate your appetite for amazing views (and your stomach too), catch your next overnight bus to Mandalay! Rest your tuckered bodies while your bus makes its way to your next destination. Tempted to visit these glorious attractions already? AirAsia flies directly to Yangon from Kuala Lumpur a whopping 14 times a week, so you’ll definitely be able to find a timing that suits you. Book your tickets with AirAsia from just RM79 (all-in) today to witness the breathtaking sights Myanmar has to offer! Book by 5th Nov 2017 and travel from now till 30th April 2018. On your third day, meet Mandalay! 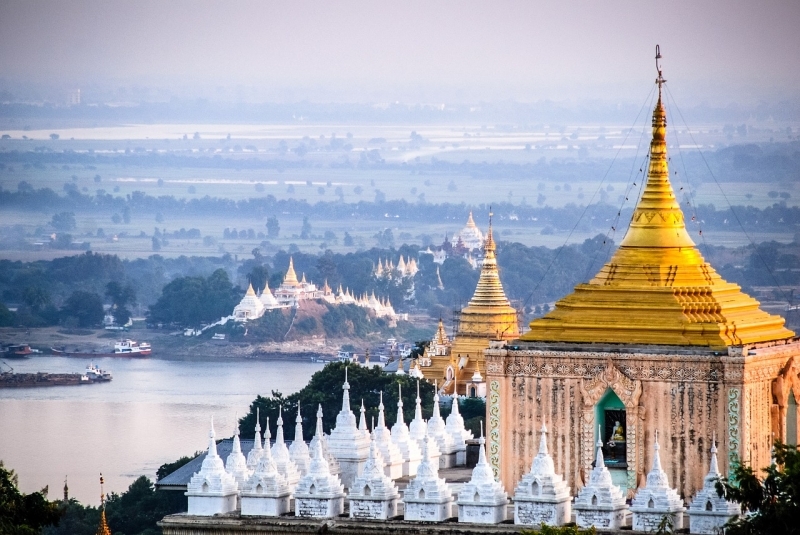 Once you freshen up, take a morning hike up Mandalay Hill and enjoy the magnificent view of Mandalay from the summit! There are two southern stairways that you can take, both of which converge towards a shrine which holds a large standing Buddha, pointing towards the Royal Mandalay Palace. 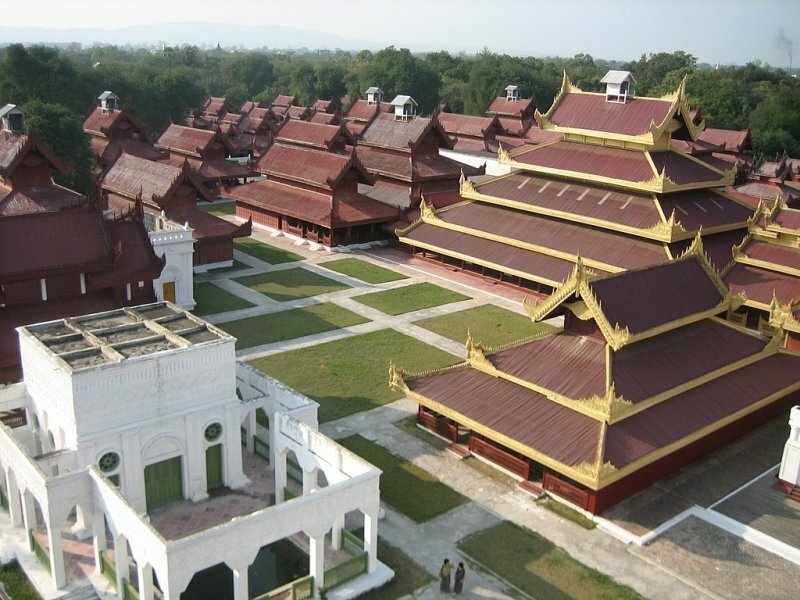 Iconic to Mandalay, the Royal Mandalay Palace is the last royal palace of the Burmese monarchy. The majestic architecture of the palace follows a traditional Burmese style and design, which consists of a walled fort and a moat. It was also where the last two kings of the country, King Midon and King Thibaw, lived. Go ahead, stomp the palace grounds and climb up the watch tower to get a bird’s eye view of the whole site! Next, head over to Kuthodaw Pagoda, which translates to ‘royal merit’. Kuthodaw Pagoda is a must see when in Mandalay because it contains the world’s largest book, which lies at the foot of Mandalay Hill. Within the grounds of the pagoda site, you will see numerous little white pagodas (729 in fact), which are actually kyauksa gu (stone-inscription caves). These caves all contain marble slabs with writings inscribed on them! The writing comes from the Tipitaka, which are Buddhist scriptures in ancient Pali language. All these slabs thus come together to make the ‘book’. We can’t imagine all the effort that was put into inscribing the slabs and putting this compound together! From Mandalay, we recommend hiring a private car to your final destination in this Yangon and beyond adventure. As compared to taking an overnight bus, a private car will get you to your hotel, which is much more convenient as the buses only drop you at the central bus stop. You would then have to take another taxi to your hotel. The ride is roughly 6-7 hours, and costs about roughly 410 MYR (Malaysian Ringgit), do make sure to do some haggling before you go! 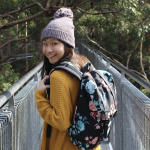 Ah, are you getting a bit tired of visiting countless pagodas and temples, and would love a change of scenery? 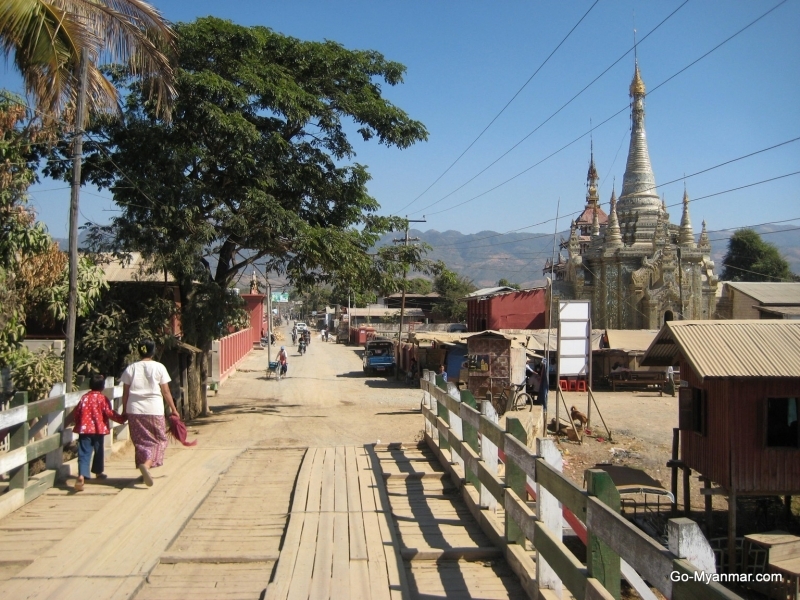 The last stop is definitely a true treat then as it provides a different view of Myanmar! 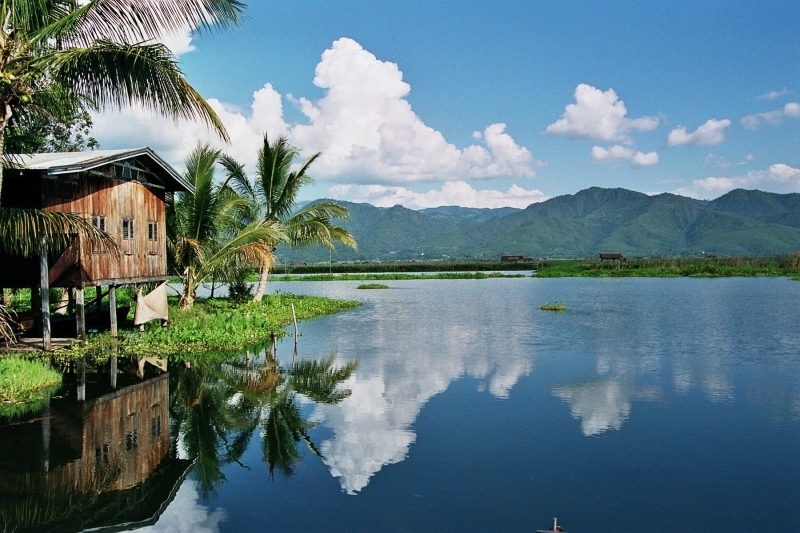 Welcome to Inle Lake, which is well-known for its tranquility and of course, picturesque beauty! Visiting Inle Lake is amazing because you get to experience how the community here lives and sustains themselves all on the river. Yes, that’s right! The houses of the ‘floating villages’ are all built on stilts over the river too! Here, there are no roads and children learn to walk on stilts built over water and pilot boats! 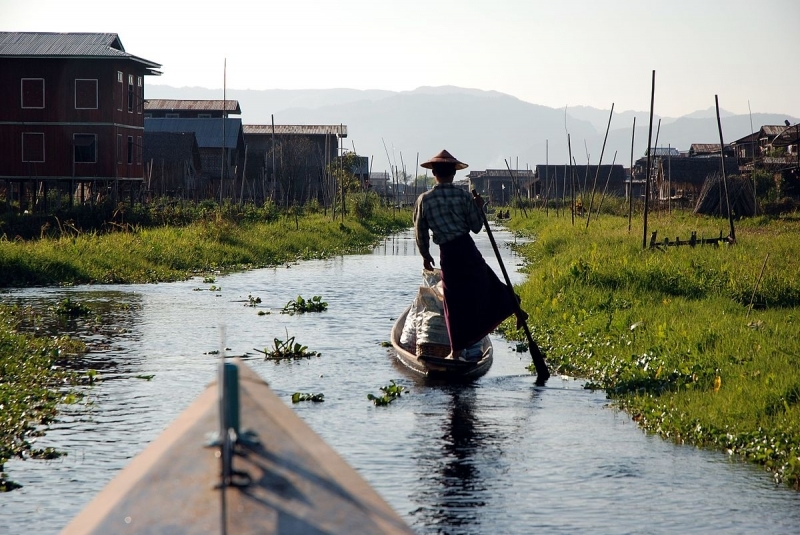 To experience Inle Lake, one must of course, get a boat guide! Visit the Nampan floating village and In Phaw Khone which is a working village that does silk, cotton and lotus root weaving! How interesting is that? Watch the locals weave fabrics the traditional way before your very eyes! You can also visit the local floating markets for souvenirs and lunch. 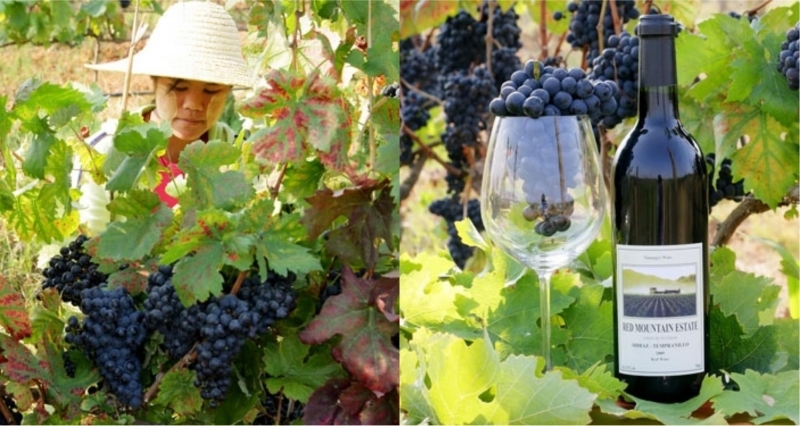 Don’t miss the opportunity to also travel to Red Mountain Estate, where you will get to have a taste of Myanmar wine! Who knew that vineyards existed in Myanmar? Located at the southern Shan State, Red Mountain boasts of producing the best wines in Myanmar, all made from locally grown grapes! Wine connoisseur or not, the wine here is definitely something worth trying! If you have a morning flight the next day, be sure not to miss the sunset over Inle Lake before catching the bus back to Yangon. For buses back to Yangon there are two timings — 6pm and 8am! If you’re taking the night flight, take the 8am out the next day, that will get you back to Yangon at around 8pm! 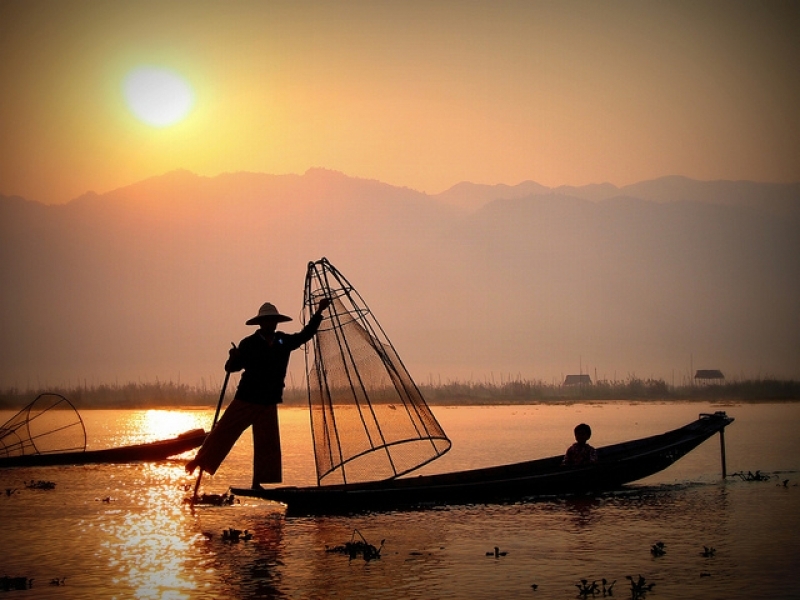 Wake up early to catch the sunrise over Inle Lake and watch this sleepy little fishing village stir and get ready to start the day! Have a good breakfast before taking the bus back to Yangon, where you can then finally head home. If you have a flight tomorrow instead and can catch the 6pm bus, we recommend visiting Maing Thauk village and Nyaungshwe where you can cycle around and further explore the area! Start off by heading over to AirAsia’s website and book your flight NOW.